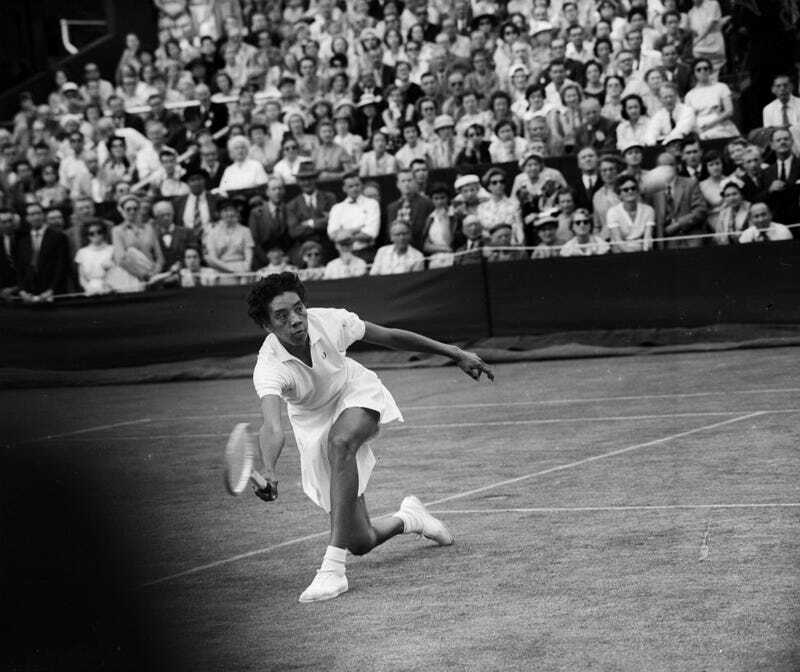 Today, the Google doodle honors Althea Gibson, who won five Grand Slam Singles titles and broke the color barrier in tennis. She must have liked winning the world's two most prestigious tournaments, too, because she repeated the accomplishments in 1958. The 5-foot-11 right-hander had a strong serve and preferred to play an attacking game. An athletic woman, she had good foot speed, which allowed her to cover the court. As the years went on, she became more consistent from the baseline. Including six doubles titles, she won a total of 11 Grand Slam events on her way to the International Tennis Hall of Fame and the International Women's Sports Hall of Fame. Gibson, who died in 2003, would have been 87 today.